Since arriving in Vancouver, there were lots of experiences that we have gained here. We studied at St. George International College (SGIC) which is in the downtown area of the city. The school has around 10 classrooms of different levels. Most of us were in the advanced class. 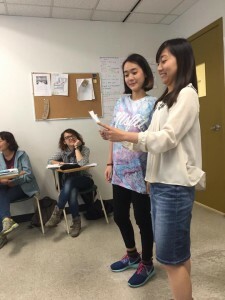 The teacher taught us many topics including euphemisms and idioms that helped us to have better understanding in English in our daily lives there. This complimented our knowledge from what we had learned in Thailand. We really did enjoy our time here. The SGIC learning environment is very convenient. There are lots of computers that students can use to learn by themselves. According to the policy of SGIC, we had to communicate with each other only in English. It was a great challenge for us. We also got to know many friends from other countries such as Brazil, Japan, and Korea. They were very nice and friendly. 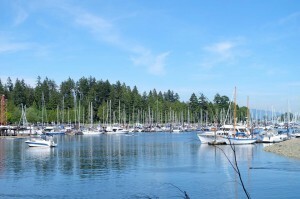 In Vancouver, there are many beautiful and attractive places. We visited lots of places like Stanley park, Chinatown, Doctor Sun Yat Zen garden, VCC central library and BC stadium. We also attended an SGIC’s activity, Italian festival, which is the largest and most celebrated cultural street festival. 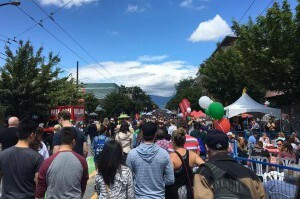 The festival was at Commercial St. People gathered to enjoy Italian food and celebrated the spirit of Italian culture including music, theatre, fashion, cars, design and more. We enjoyed the festival a lot.